Wrap loosely in plastic wrap and place in the warmest part of the refrigerator; one of the compartments in the door works perfectly. Do not wrap tightly or the trapped moisture may cause them to mold prematurely; many people like to add a crumpled paper towel to the bag as a safeguard. Do not rinse the herbs until just before using. Rosemary is a good source of Vitamin A, Thiamin and Magnesium, and a very good source of Dietary Fiber, Vitamin C, Vitamin B6, Folate, Calcium, Iron and Manganese. The name of Rosemary originates from the Latin word rosmarinus, meaning "mist of the sea" or "dew of the sea." Rosemary sprigs are traditionally scattered on the grave to show that the beloved family member would not be forgotten. During the English Tudor era, Rosemary symbolized fidelity, and brides would give sprigs of Rosemary to bridegroom as a tradition. 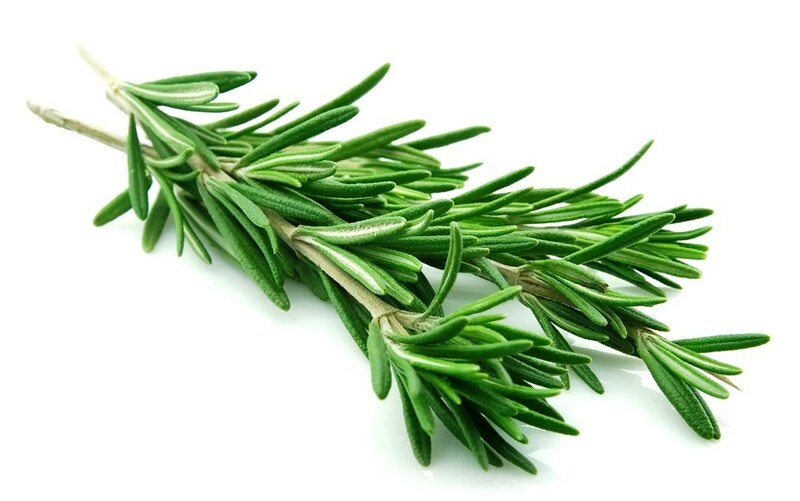 In the old days, Rosemary has been used as an herbal medicine to relief gas, toothache, headache and even baldness.